The WordPress.com stats helper monkeys prepare a 2013 annual report for their blogs. I really like this service, and here’s part of what it said. In 2013, there were 205 new posts, growing the total archive of this blog to 526 posts. There were 290 pictures uploaded, taking up a total of 162 MB. That’s about 6 pictures per week. The busiest day of the year was November 28th with 1,316 views. The most popular post that day was Thanksgiving Conundrum. These are the articles that received the most views in 2013. 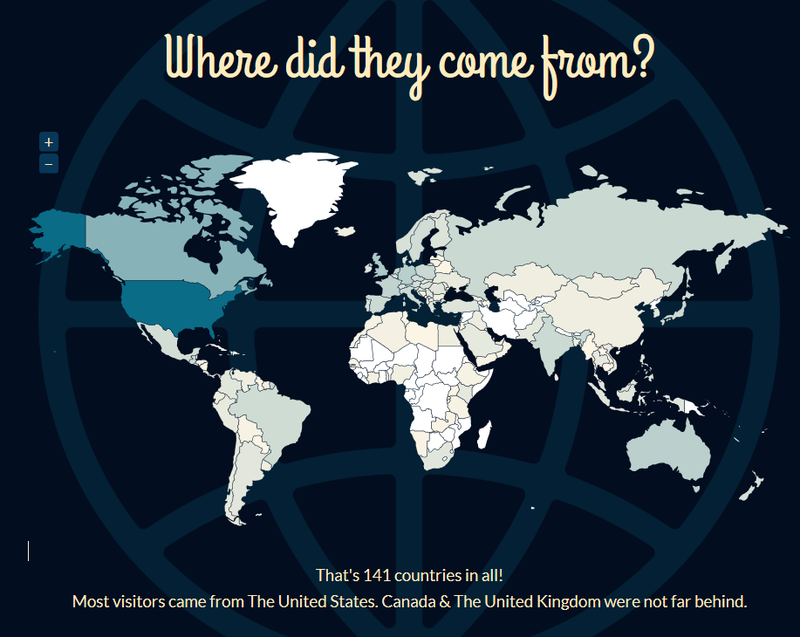 Surprisingly, people who viewed these articles came from a total of 141 countries from around the world. The Native Heritage Project blog was created on March 2nd, 2012, so 2012 does not represent a full year. In 2012, I posted 321 articles and the blog received 64,000 views. These numbers don’t count people who subscribe via RSS feed or read posts through an e-mail subscription. They would account for another 300,000 or so views per year. In 2013, I posted 205 articles, for a total of 526 and the site received 150,000 views. That means that views more than doubled, increasing 234% from 2012 to 2013. Add that to the 300,000 subscriptions and about 450,000 sets of eyes read these articles in 2013. Pretty amazing and a fitting tribute to our ancestors! Thanks one and all for your support. Many of these items are contributed by readers. Thank you. If you have something of interest to share, please send it my way. I know we’re going to have a wonderful 2014 with many more records and lots more information about Native American Heritage!